﻿ Best Price on Eva Luna Villas in Las Terrenas + Reviews! Set 656 feet from Las Ballenas Beach, this attractive hotel is set in tropical gardens. It offers an outdoor pool, sun terrace and charming villas with free Wi-Fi, 5 minutes’ drive from Las Terrenas. Eva Luna Villas feature elegant, Mexican-style décor and a balcony or terrace with garden views. 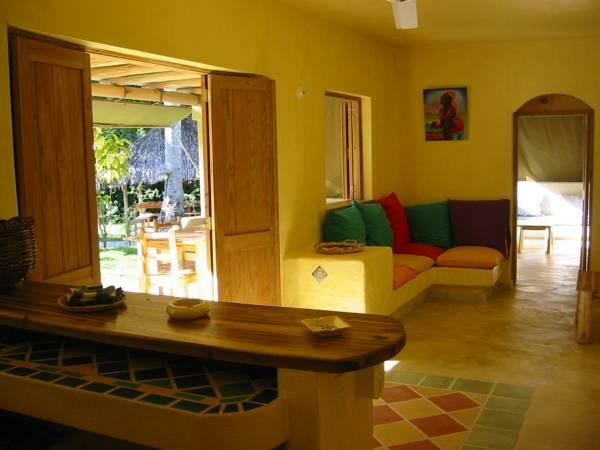 All have a lounge with sofa, laptop safe, a kitchen and 1 or 2 bathrooms. The property offers an American breakfast daily and a number of activities, including yoga classes and aqua gym. Water sports are available on the nearby beach and hiking and horse riding are popular in the area. The Eva Luna offers free private parking and a car rental service. It is set 19 mi from Samaná El Catey International Airport.